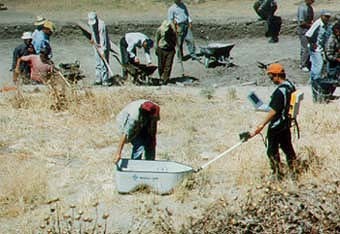 Geophysics is used to give evidence of the existance of archaeological sites. Even large areas can be explored quickly. 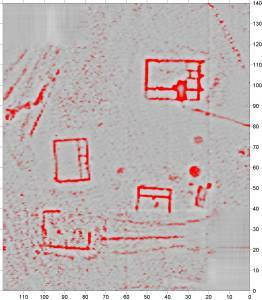 With geomagnetical, geoelectrical and ground penetrating radar measurements, archaeological structures can be explored from the surface in a non-destructive way. 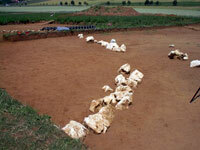 Celtic grave (width of image ca.70m) Magnetics is the standard method for geophysical prospecting in archaeology. It enables a fast overview of present structures, as e.g. remnants of old walls. 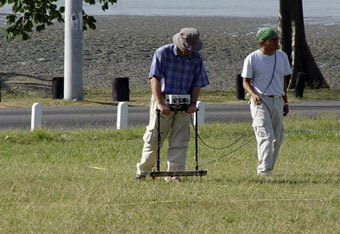 For specific tasks, geoelectrics and ground penetrating radar are at one´s disposal. 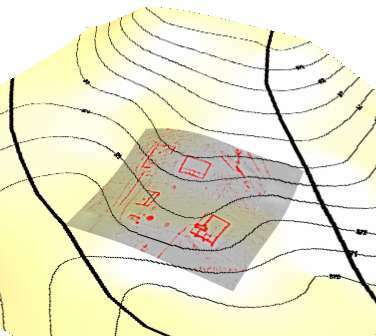 Example: Geoelectrical mapping of roman remnants. 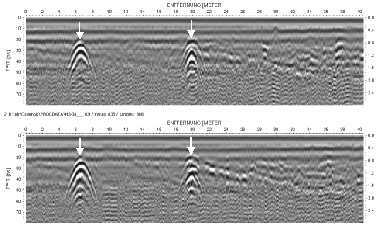 Remnants of walls are often better detected by geoelectrics. Data can be visualized in 3 dimensions on top of the topography allowing a better interpretation. 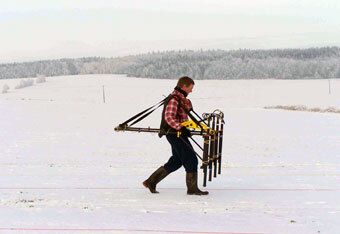 Special targets can be resolved with georadar, allowing the depth to be determined. 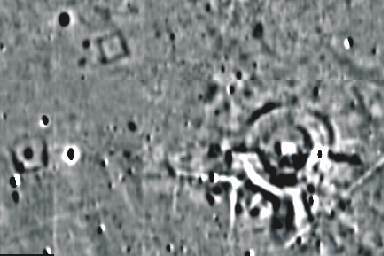 Example: Georadar across a celtic grave hill.